The A5 Mini Tester is designed for laboratory scale evaluation of Ultrafiltration membrane applications with moderate levels of suspended solids. 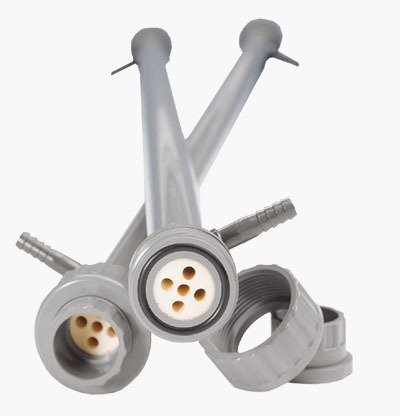 It consists of 5 x 6mm diameter membrane tubes potted onto a 1" nominal bore plastic tube, with overall length 1.2 metres and membrane area of 0.1m2. This test module is capable of operating at 10 bar at 50°C and is available in the standard range of tubular membranes available for the A5 module. Modules may be used individually, or be connected in series or parallel, subject to the flows and pressures available from the test rig to which they are fitted.